Brain damage in an infant may be the result of medical negligence in the delivery room that could have been avoided. Though cerebral palsy is the most widely recognized form of brain damage in infants, a head trauma that impacts brain function may manifest in a variety of ways. In most case, the birth injury will be permanent though not progressive as the child ages. And perhaps most upsetting, the damage is irreversible; the child’s level of function will likely never improve. Eisbrouch Marsh’s team of birth trauma lawyers know firsthand the devastating impact of this diagnosis, and the frustration parents feel as they come to understand just how the entire injury may have been avoided with competent care. Adding insult to injury, parents whose babies have suffered a head trauma are often not told about the injury until the baby is old enough to show signs of brain damage. At that point, the trail that might have at one time pointed to medical negligence has grown cold. The law firm of Eisbrouch Marsh wants families whose babies were victimized at birth to know that it is not too late to expose those responsible for causing the harm and to secure some measure of justice. Our network of medical experts and investigators work closely and tirelessly alongside our experienced legal team to win compensation in a birth injury lawsuit. Hypoxia, or a lack of oxygen, is one of the leading causes of brain damage in newborn infants. In utero, babies get oxygen from their mothers through the placenta. A variety of problems can develop during pre-labor, as the infant is being born, or immediately after birth that deprive the baby of oxygen. 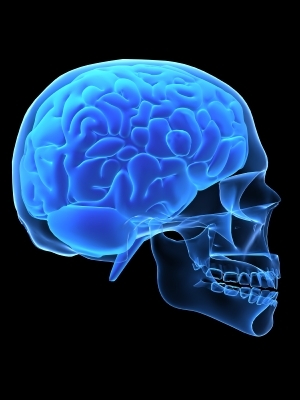 It takes just a few minutes of interrupted oxygen before brain cells begin to die. Physicians must monitor both mother and fetus carefully during pregnancy and delivery. Responding promptly to treat maternal infections, identifying when a fetus is in a breech position, and minimizing the dangers of preeclampsia and other complications is essential in the prevention of birth trauma. In some cases, an emergency cesarean may be warranted to avoid further oxygen deprivation in the fetus. A difficult labor calls for swift, competent action on the part of the attending delivery room team as the risk of birth injury increases. Fortunately, modern standards of medical care have evolved to minimize the risks so long as they are followed. Pitocin can be a wonderful solution for a mother in the midst of a hard labor, however, she must be monitored for adverse reactions which may ultimately delay the process even more. Shoulder dystocia or other problems may call for the use of tools that aid delivery such as a vacuum extractor or forceps. Again, when used correctly- these tools are wonderful aids. When misused, the baby may suffer an intracranial hemorrhage or other head trauma that can lead to mental retardation, cerebral palsy, or some other manifestation of brain damage. Both hypoxic brain damage and damage caused by external birth trauma can cause severe impairments and limitations in infants that persist for life. The costs associated with brain damage during birth are astronomical. According to the CDC, the average lifetime cost of care for a person with mental retardation is $1,014,000. A cerebral palsy patient can expect to pay $921,000 on average over a lifetime. Someone with hearing loss will have a lifetime cost of $417,000 and a person with vision impairment could have lifetime treatment expenses of $566,000 on average. While many types of brain damage result from genetic defects or infections that cannot be prevented, medical negligence is often to blame. To reduce the risk of brain damage, doctors need to recognize signs of fetal distress and respond appropriately. For example, gestational diabetes (or any type of maternal diabetes) is a risk factor that a doctor should plan for before the birth, as is a breech baby. During labor, the doctor should recognize that decreased levels of amniotic fluid or an abrupted placenta are emergencies that must be responded to appropriately to minimize the risk of brain damage. Identifying the cause of a birth injury—and proving that the injury was the result of negligence—is easier, the sooner parents recognize symptoms. As a child grows, parents can expect to see more symptoms, including communication difficulties and learning impairments. Parents whose children sustain brain damage due to birth trauma deserve to have their costs and losses covered by the responsible party. An experienced medical malpractice attorney at Eisbrouch Marsh can help to secure compensation for medical bills and costs, pain and suffering, and other economic and non-economic damages. Taking legal action is important to ensure that the funds are available to provide the affected child with a lifetime of care. Eisbrouch Marsh has successfully negotiated out-of-court settlements and won large jury verdicts in favor of children and families dealing with the fallout from birth injury-induced brain damage. Our network of medical experts, investigators, and attorneys ensures that you have the best chance at success in winning your medical malpractice case. To schedule a free consultation and learn more about how we can help, give us a call today.